Meeting at The Village Hall, Lydiard Millicent, Nr Swindon, Wiltshire. The Worshipful Master of Vastern Lodge, WBro. Allan Buckland, and Mary have requested that this should be distributed to the following beneficiaries – the Prospect Hospice, Wiltshire Air Ambulance and the local area branch of the Alzheimer's Society. As a result of yet another successful Vastern Lodge Christmas Party held in Lydiard Millicent Village Hall, the magnificent total of £600 was raised in support of local charities and charitable organisations in the Royal Wootton Bassett area. Bro. 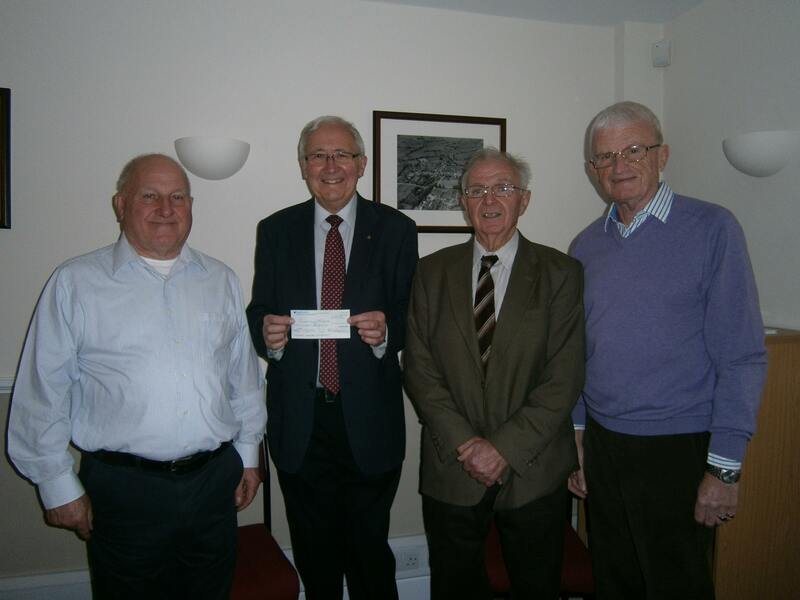 Stephan Jarvis, Master of the Lodge together with Lodge Members identified four beneficiaries who will each receive £150.00 . The Richard Jones Foundation, Ridgeway House Care Home and the local branches of the Scouts and Guides Associations, this is in line with the Lodge's aim of supporting local charities. The Richard Jones Foundation photograph from L to R are WM - Bro. Stephan Jarvis, Peter Roberts from the RJF, Almoner – Bro. Ray Bourton and Brian Cowley the Lodge Secretary. 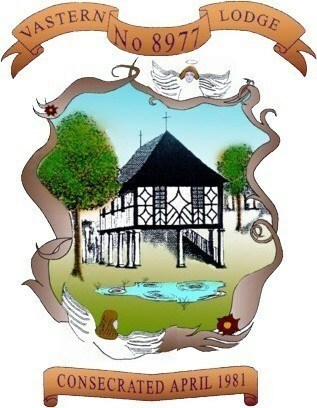 The Richard Jones Foundation awards grants to any young person in the community aged bewteen 7 and 25 who has lived in the parish of Royal Wootton Bassett for at least 12 months and who still lives in the parish, who would benefit towards their education at school, college or in the early work years, to enable them to reach their full potential. 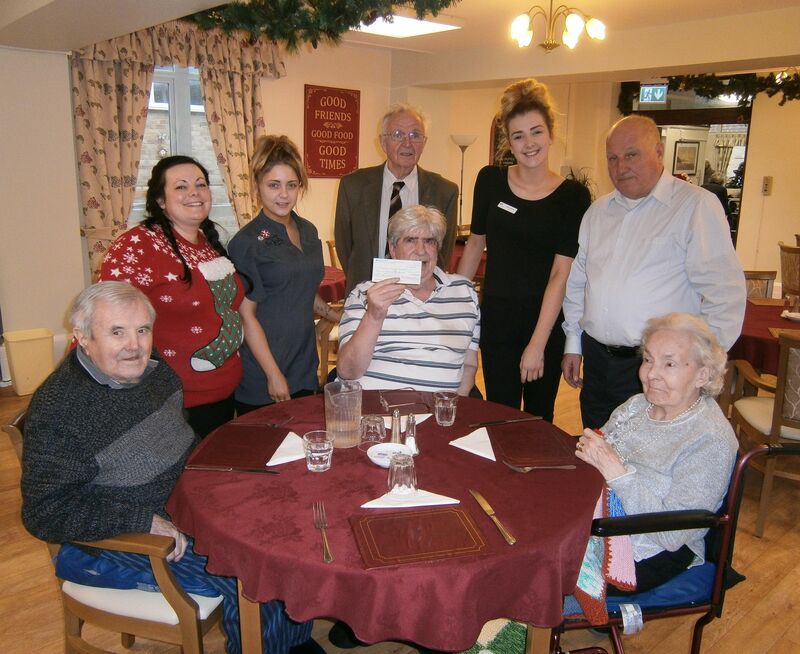 The Lodge also presented a cheque for £150 to the residents of local Ridgeway House care home. Ridgeway House is registered for forty-three residents and offers a team of skilled and friendly carers, able to provide care for older people and those with dementia or a learning disability, while also being able to offer respite and day care. Ridgeway House photo shows Stephan and Ray with residents and Care Home staff. In addition to the above the Lodge has also presented donations to Prospect Hospice £150, Macmillan Nurses £100, Swindon Masonic Widows £100 and £150 each to the local Scouts and Guides Associations. Ian Priest, Provincial Charity Steward said "This is Freemasonry operating at its very best with the Lodge making a number of donations, each of which will make a big difference to the group receiving the funds"
The idea of a Lodge at Wootton Bassett had been in the minds of a number of Brethren, members of various Swindon Lodges, but with connections in the Wootton Bassett area and eventually a number of meetings were held at a local pub, the Angel, of possible founders and with the Provincial Secretary. Very early on it was decided that such a lodge should be known as "VASTERN", because of the historic connections of the area with that name. Vastern is an Anglo Saxon word meaning fortress. This arose at the time of the Norman invasion when Alan Bassett, a Norman, was given the land around the small town, which is now Wootton Bassett but finding the local inhabitants not very friendly he built himself a castle on a hill nearby. The locals called it "Vastern" or "Castle". The area around Vastern grew, and it became one of the five Royal hunting Lodges in Wiltshire. The others being:- Clarendon, Corsham, Marlborough and Tollard Royal. Then it became a Royal residence and in the 16 Century, Queen Katherine Parr, widow of Henry VIII lived there, but that was after her marriage to Lord Thomas Seymour. The founders of the Lodge, having succeeded in getting approval went ahead. The Consecration ceremony was at Chippenham. Masonic Centre and the Consecrating officer the Provincial Grand Master, R W Bro R A C Forrester. The Lodge started to meet at the Angel, where the first moves had been discussed. A room at the back, used as the Lodge room, had to be dismantled after a meeting and fixed up as a dining room. The Lodge coped very well, until such time as the Landlord changed. The new one was not very interested. The Lodge then moved to a local school, St Bartholomews Church of England School, then to Hook Village Hall and finally in 1987, to Lydiard Millicent Parish Hall, dining during this time was in various places.